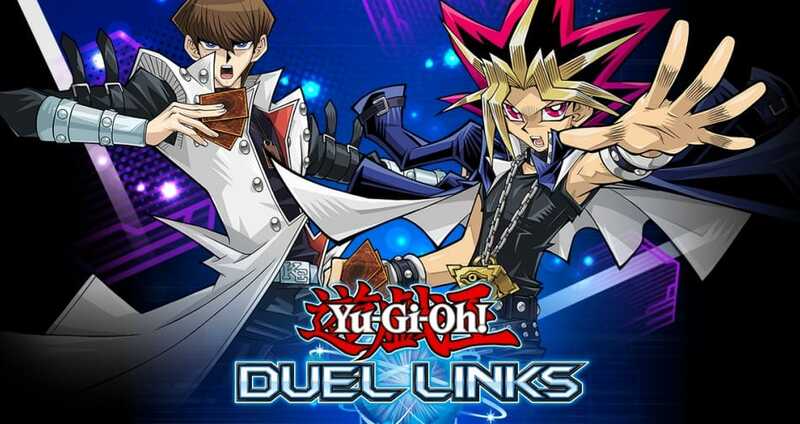 The ever so popular free-to-play with in-app purchases Yugioh Duel Links Android and iOS online multiplayer card game from Konami can leave a few players in dismay, especially when the game status is offline, which could be down to issues such as the dreaded ‘server error 1’ problem and if this happens to you here is where you can have your say. Troubles such as server error 1 can be down to too many gamers trying to login at the same time and this is when the developers decided to implement the ‘staggering logins’ process. Other problems can include not being able to login, download not working, other sites such as gamer-net/yugioh or yugi5k.us not opening up etc. Is Yugioh Duel Links down for you today? If you are experiencing any types of issue please do let us know what it is, the device you are using and operating system. If Yugioh Duel Links is down today, then reports will be found below. I just won the tower event and now its not letting me play the game. Is yugioh duel links down at the moment!!!!@! This is mad, when I try to initiate a game it keeps telling me to reboot. What des this actually mean? Problem of special summon Mystic swordman lv6 from lv4. Is it a bug? I’ve been playing for a few days in PC steam version, but I can’t launch the game now. The game displays the download window, but when I redownloaded it displayed the same window. So I don’t know what’s going on, any tips? is there a link to send a few crash reports i have?i have recently installed the game from steam. On mobile IPhone 7+ iOS 11.1 duellinks was working perfectly until I queued for ranked and then the app kind of stopped working. It seemed as if it had frozen so I closed the app and relaunched. After relaunching the app would display the KONAMI logo when swapping between tabs would load one more frame. This continued even onto the duel world screen. Prior to queuing for ranked tonight there was literally no issue with performance whatsoever and now Iâ€™m lucky to get to the Initiate link screen without swapping between apps 50 times. It’s doing it to me as well…. That’s what is happening with me…. Whenever I joined the GX world, it plays through the dialogue with Jaden Yuki, and once it finishes, the screen turns black and I can’t do anything…..
John Huang Ive been having the same problem since the same time as you ******** have it been solved where you live ???? Same here! It’s been happening since 2:00 pm. Still haven’t been able to log in. Card flipper forces me to reboot every time.. its Down. cant close the game process. I’m having this issue. How can we report that? So I am playing the game and when my card has the effect of destroying all monsters who are level 4, it doesn’t happen. And this problem is happening already for the second or third time. And no there was no card to counter my card’s effect so idk why this is happening. Can’t get past linking. Keeps getting stuck at the same spot every time I restart it. (I install vpn and it worked for a little) and now I managed to play again BUT WITH A NEW ACCOUNT FROM THE START!! I asked for help from konami and they said that i have to wait 2 weeks in order to get back my old account!!! And not for sure.. I was already logged in and they logged me out to say they are staggering logins???? Since 2 days, I cant play my favorite game. I hope Konami can fix it fast. I am from germany, Samsung Galaxy S7, every time the same problem: network doesnt work. ÎšÎ±Î»Î·Î¼Î­ÏÎ± Ï€Î±Î¹Î´Î¹Î¬, Î­Ï‡ÎµÎ¹ Î±Î½Î±ÎºÎ¿Î¹Î½ÏŽÎ¸ÎµÎ¹ Ï„Ï€Ï„ Ï€Î¿Ï„Îµ Î¸Î± Ï†Ï„Î¹Î±Ï‡Ï„ÎµÎ¯ Î±Ï…Ï„Î¿ Ï„Î¿ issue? ÎœÎ¹Î± ÎµÏÏŽÏ„Î·ÏƒÎ· Î±Ï…Ï„Î¿ Ï„Î¿ turbo VPN Ï„Î¹ ÎµÎ¯Î½Î±Î¹ Î±ÎºÏÎ¹Î²ÏŒÏ‚? Î¦Î¯Î»Îµ, ÎºÎ±Ï„Î­Î²Î±ÏƒÎµ Ï„Î¿ Turbo VPN. Î¤ÏÎ­Î¾Ï„Î¿ Îº Î¸Î± ÏƒÏ…Î½Î´ÎµÎ¸ÎµÎ¯Ï‚. Î‘Ï€ÏŒ Ï„Î¿ Ï€ÏÏ‰Î¯ ÎµÎ¯Î¼Î±Î¹ ÎµÎ½Ï„Î¬Î¾ÎµÎ¹. Î”Î¿ÎºÎ¯Î¼Î±ÏƒÎ­ Ï„Î¿. i dont try to play in neve method. error connection persisted. Not VPN able in italy. How i get back my acc?? Got a solution. Download Turbo VPN. It bypass ur isp and u can connect to the game! I’m having a problem with it. Any time I try to open it it tells me no internet connection but my internet works perfectly as I can do everything else. It’s just this game that doesn’t want to open. – application fault with recognising mobile data connection from phone software version. Still not working. You guys? @ jack napier Thanks for the reply. I did not play in this event and i have 2000 keys to spend. Cant login as well. Asks me for Reboot or Retry. Problem exists for some hours. Im having the same problem. Same phone as well. I’m getting the same and since this morning when I updated the game. It won’t let me pvp. I click on the pvp arena And it shows the blue loading symbol then it shows the effect when you transition from page to page and goes right back to the home screen where u an fight beginner AI’s. I even went to the news page about the cheaters in the WCS finals and clicked the go to pvp button and it loads then takes me right back to the home screen. Since I downloaded the latest version 1.7.0 I cant play the screen remains black and I can only see the character and the lvl but none of the menus work, anyone? Since I downloaded the latest version 1.7.0 I can’t play. The menu remains black screen, I can only see the character and the lvl on the right below but none of the menus work. Samsung Note 4 Main screen after the update 1.7.0 now always black. Only top overlay of Yugi and the different area icons which make noise but dont do anything when clicking them. I have an LGK7 and I keep trying to install the data that comes afterwards. I install the app, do the data transfer, and then initiate link. I wait, and when I check back, it always freezes on a number. Ex: 316/354 99%. Can anyone tell me how to fix this? Keeps crashing when i try completing the Amazoness Village quiz. it’s seriously starting to piss me off. Can’t connect, message says retry or reboot. About a hour or 2 before that I tried qualifiers for championships and Insta lost in 3 out of 3 matches, on opponent setting 1st card, any card. Also a small “No Connection” message at the bottom of the screen, then outside of tournament it worked proper until about 35 mins ago with the above mentioned issue. I just tried to log in and it says error 500. So according to the the duel links update it states that they are currently working to resolve the issue. Hopefully it fixes soon! Yeah I tried doing that also, it didn’t work for me either. same here. Any news on this or a fix? reinstalling with data transfer didn’t help. I have the same problem but no one can duel me. My friends can’t even send a duel to me, but they can send requests to other friends, just not me. enemy gravity axe- grarl equip card will have the effect that make monster we control cannot change battle position, so why my red skilled magician cannot be activated to special summon 1 archfiend monster. it nots like the gravity axe- graarl have the effect to disable the effect activatiion effect of red skilled magician, rite??? When I go to store and open any of the Line Up it says “Failed to get information. Please reboot the app after entering your Google Account information.” my Cellphone is Asus Zenfone Max, OS is Android 5.0.2 (Lollipop) PLEASE Give me some answers because I think I can’t get UR and SR Cards because of that. Thank you! Tengo un error 501 y es fastidioso no me deja jugar normalmente :/ . Can’t get my daily login bonuses. The A.I. for auto-duel when Black Pendant is involved is annoying. Can you guys revise that? For example: The A.I. prioritizes using Black Pendant + Twister on the same turn, especially when the +500 Atk is beneficial at the moment. Another: Choosing to allow a monster equipped with Black Pendant to die instead of saving it via Enemy Controller, etc. I play the game on my Samsung Galaxy S7 Edge phone with a pretty good connection but I always get SERVER ERROR when trying to play PVP. Dueling online keeps saying connection failed… I use to duel online just fine before Bakura event. Encountered a bug: AI field has 2 set charmers. I have 2 monsters. Attack opponent’s charmer, activate Magician’s circle. We both summon new spellcatsers, attack goes on as normal. Charmer flips, tries to take my monster, my monster dies instantly and then the charmer. My third monster is unable to attack. I transferred my data to my another phone but all the cards are grey and in the shop in certain packs it only displays a few cards. Here too, no solution found so far. Duel links won’t even download the game data, it just gives me an error, upon error upon error. card shop booster box won’t load. I get into card shop click on the set and it’s stuck on the blue loading screen with sphere please help. My opponent had a main phase longer than 20 min, the screen didn’t freeze, I don’t know what happened but his phase lasted really long so I just shut down the app and lose. I also have problem, when I get a note “error” during battle, and than I automaticly lose. when i go to the app store to download it during the initial link download it keeps freezing at 211 of 267 and i still can’t even play it.! i just nox app and when i do pvp i keep dc in middle of duel help !!!!!!!!!! I chose user name from 4-12 characters with no space or special characters as required. But this game still not allow mine. I can’t receive my daily login bonus. I mean they showed up on my screen said I got gems/gold/duel orbs, but when I check those, there was nothing received. I can definitely say I haven’t received any duel orbs since weeks ago(I login every day during the time). Scenario : I’ll be mid duel on ranked PvP matches, and occasionally it will freeze and say that I have lossed the game. I keep a close eye on my time and it never exceeds the time limit. Scenario load errors for every battle. No descriptions on what anything means. Can’t create a deck. After maintenance i got error 3 and can not download the new additional data!!. Down right now. “Staggering Log-Ins” Message after maintenance. I can’t buy card packs. I can purchase them fine with gems, but I keep getting error when I try to buy with my debit. It takes forever to load and then it pauses. I’ve had the app for almost a week and I haven’t been able to play it because of this. I logged into the game after the maintenance, then suddenly I was kicked out when I clicked the shop. Now I have error no. 500 thats says authentication failure. How can I fix this? Purchase error ..how to fix it? ON iOS Say: error No.3 ? Y te dejo descargar la actualizaciÃ³n ? Do u have a samsung galaxy s7 ? I have an issue not related with the server being down: i can battle everybody in solo just fine but evry time i try to duel online in the arena it says that i found an oponent and then i get a : “disconnected ” and it returnes me to the map with a loss . Any way to fix it? Greetings from Peru, I started playing since January 5 of this year, I have the error of server 1 and when I want to enter to buy new cards, I automatically disconnect from the game. I have a Samsung Galaxy J2. I beg your prompt response and response. Despite that I think it’s a promising application, thank you. I’m in Michigan and I’m playing on my iPhone 6s. I can’t load my game is always says retry or reboot. These servers really need to be upped I can’t deal with this everytime I try to play. Just says “no network connection” and says to retry to connect or reboot. I’m in full wifi so guessing servers are down and have been for the past few hours. I’m in Australia, really hoping they go back up sometime soon. I have the server error 1 due to the amount of logins i’m guessing. Since they finally must have activated the welcome to toon world line. I play on a Galazy Tab 3 from the Kentucky. Thanks to this i’ll miss my daily login as well. I hope they have some kind of compensation for anyone who currently had the app as of when the occurrences started. I got pegasus went to let me play level 40, servers went down, let me log in a few hours later the event was over, and kicked off again now this is day two of this problem during the day so i guess for everyone with the issue its best to try to play around 10pm-4 in the morning eastern time because after that it goes man. its been olay all morning and now its down..they need to make there server handling better as this is more a pain in the arse than anyt. Screw this. After trying for 1.5 hours, I managed to login but got kicked out in less than 5 minutes. Lets forget about pegasus event. Server error -1 in Greece yet again, nightmare. I also got the server error 1 status but have since learned they staggered the logins to ease the servers being overloaded. I am actually happy because the yugioh duel links maintenance that happened today gave me like 700 gems for free. Is anyone having the same issues as me with the server being down and getting the server error -1 message pop up? I just got booted from my Yugioh Duel Links game, this has now happened a few times over the last few hours.